Engraving by René Boyvin?, 21 x 26.9 S (New York). Inscribed at the top center: Rous . Floren . Inuen . 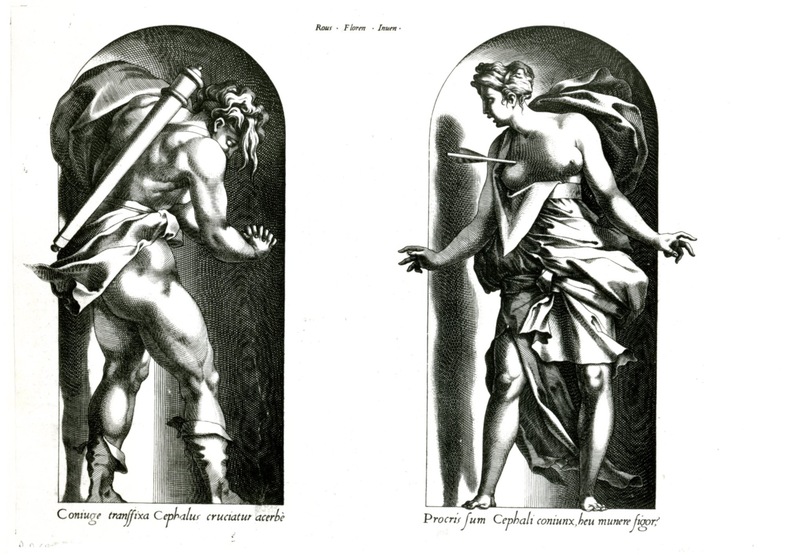 , beneath the left niche: Coniuge transfixa Cephalus cruciatur acerbè, and beneath the right niche: Procris sum Cephali coniunx, heu munere figor? Robert-Dumesnil, VIII, 1850, 46, no. 69, as Boyvin after Rosso. Le Blanc, 1854-1890, I, 507, 26, as Boyvin after Rosso. Destailleur, 1895, 278, no. 1152. Levron, 1941, 75, no. 184, as shop of Boyvin. COLLECTIONS: New York, 32.92.27(15). Paris, Ed 3 (cut in two). Vienna, F.I.3, p.25, no. 63. Kusenberg, 1931, 161, as Boyvin. Linzeler, 1932, 177, as Boyvin. Borea, 1980, 262, no. 675, as Boyvin. Carroll, 1987, 11, 340-341, no. 106, with Fig. 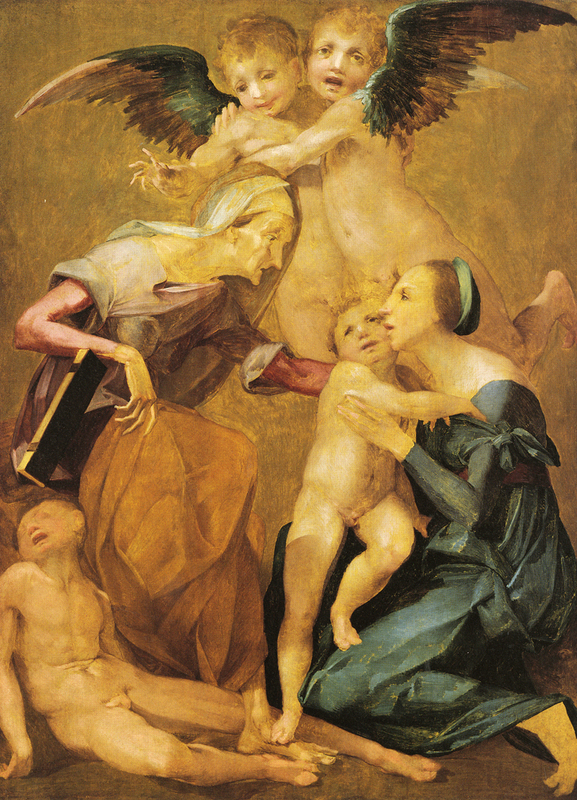 (Vienna). The validity of the inscription to Rosso on this print is clearly supported by the style of the image. 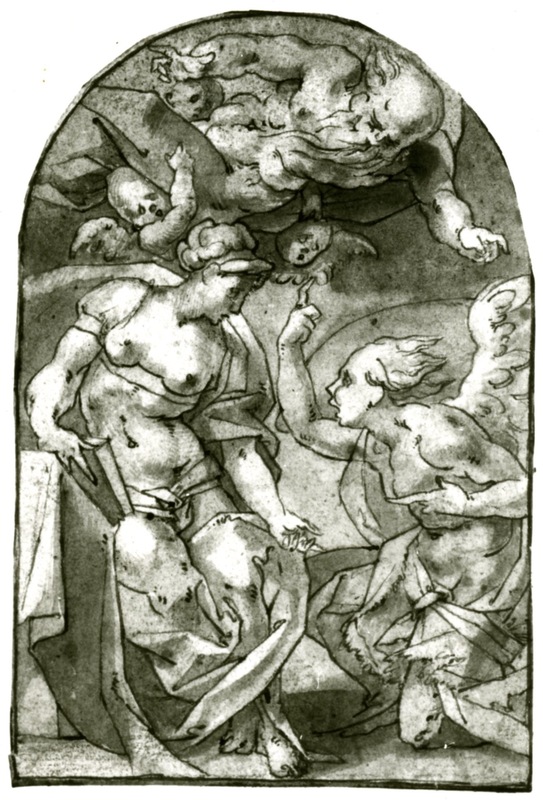 In the unusual and dramatic placement of the figures in their niches, this print resembles Rosso’s Gods in Niches of 1526 (Fig.E.26 and others of the series). 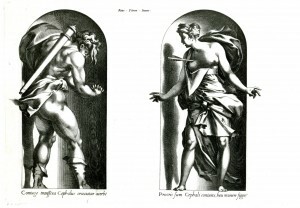 But the figures in the Cephalus and Procris are grander in size and in the character of their postures and gestures. 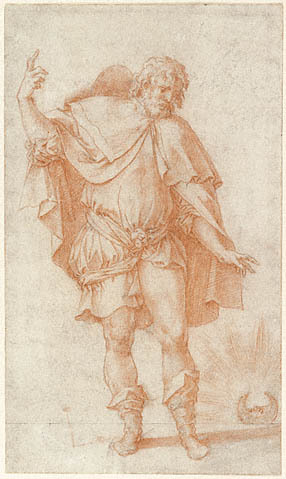 In these respects, they can be associated with those works by Rosso that seem to date from the last years of his life, such as the Empedocles-St. Roch (Fig.D.80a), the Annunciation in Düsseldorf (Fig.D.83), and the drawing (Fig.D.84a) and painting (Fig.P.24a) in Los Angeles. 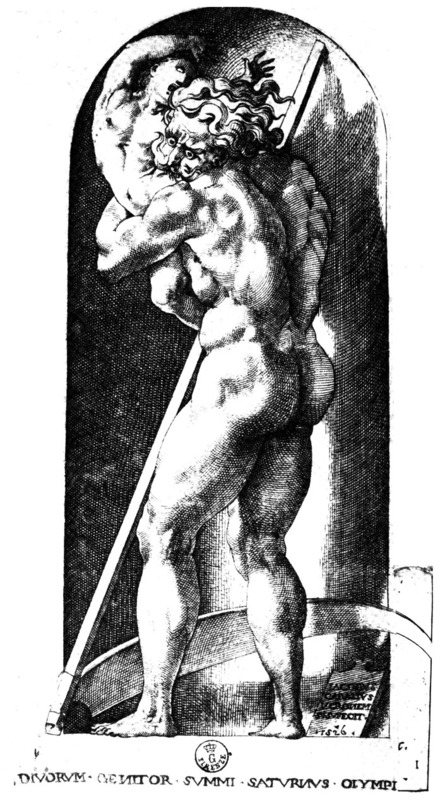 The invention of this engraving was probably made about the same time as these works in 1538-1540. 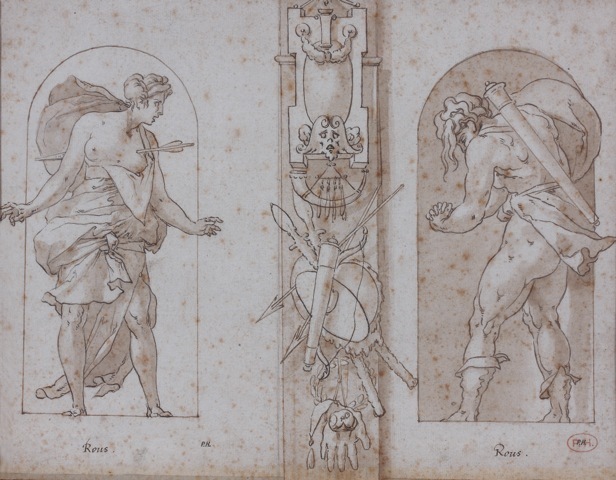 Although the print could be related to a lost panel painting by Rosso that was at Fontainebleau at the end of the seventeenth century (see L.63), the separation of the two figures into two niches could indicate that they were originally designed for a wall decoration. 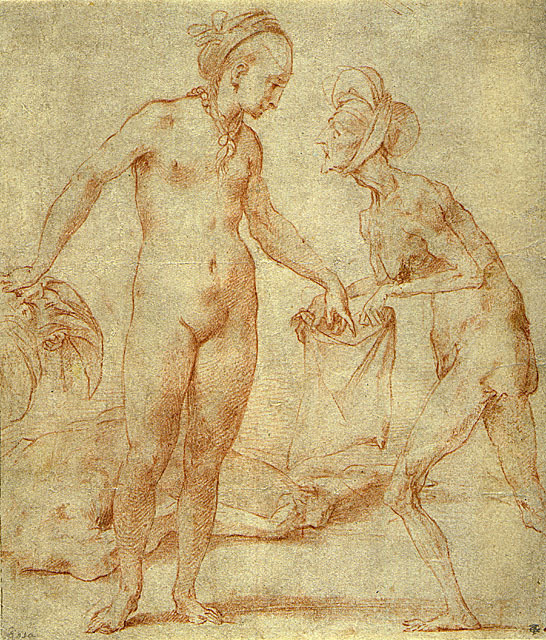 The engraver would have worked from a reverse drawing by Rosso (or a copy of it), possibly even the fine drawing probably wrongly attributed to Léonard Thiry catalogued here (Fig.D.76B). Bearing neither Boyvin’s name nor his monogram, the attribution of this print to him is uncertain, although it is beautifully engraved in a manner closely resembling his.